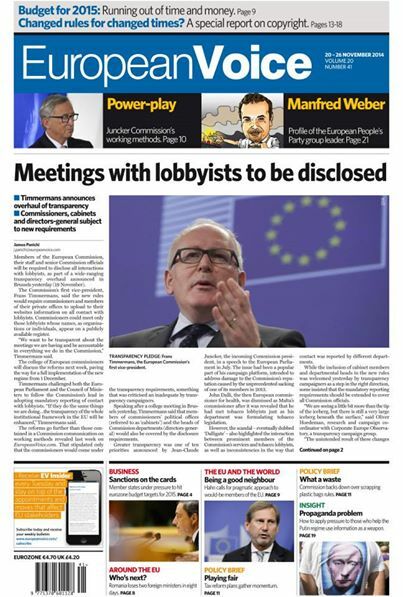 Within a month in office, the incoming Juncker Commission announces its first tangible steps to increase disclosure relating to its lobbying contacts. As a consequence of this line, the 28 members of the Commission will be required to disclose on their websites all contacts with lobbyists as of 1 December. The EUObserver quoted Timmermans saying: “I think we have moved to a situation now where the public says to government ‘show me!’ And we want to show you”.